It’s high time Mr.Neeraj Pandey stops producing films and stick to directing. The films he directed are A Wednesday, Special 26, Baby and the upcoming Dhoni, whereas he produced films like Total Siyaapa. His latest offering as a producer is Rustom directed by Tinu Suresh Desai. 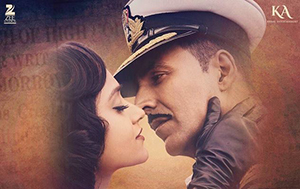 Inspired by the infamous Navati case, Rustom stars Akshay Kumar and Illeana as the leads. Rustom Parvi played by Akshay is a naval officer with a gorgeous wife Cynthia played by Illeana. Cynthia has an extra marital affair and Rustom ends up murdering that guy (a millionaire played by Arjan Bajwa). However there is much more to the affair and murder to the story. There is tabloid. There is a sister who is hell-bent on vengeance. Majority of the film is a courtroom drama where Rustom fights his own case. He strategically plots things. There is a ‘gaddar’I aspect also to the film. The director probably didn’t care about the subtext at all. You can see the people in the scenes describing what’s happening in the scene verbally. Also, had it been the case that the makers strictly stuck to the real incident, it would have been good. They additions they made to the real story ended up in making it a very uninteresting and clichéd piece. Shockingly the trailers, the publicity and the promotions were absolutely up to the mark. However, once the movie begins, you see that it’s a mundane movie which was just pretentious. Akshay Kumar also was not in the right form. He seemed unenthusiastic in most scenes, not sure if he was trying to be so or anything else. Illeana was Ok. Kumud Mishra is wasted and Schin Khadekar was irritating. Esha Gupta’s look was awful. The whole production design and coloring seemed to go overboard. Pavan Malhotra , as usual delivers some good performance. The screenplay also is so backward. The proof Rustom sees to figure out Cynthia has an affair looks so ready-made. The patriotism punch also seems old-fashioned and made-up. The music of the film provides some relief and Aksay sparks in a couple of scenes. The production design seems to overtly done. The movie has a voiceover by Manoj Bajpayee. 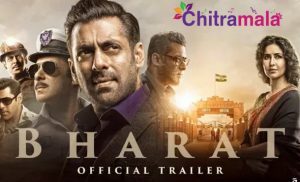 The film is gripping only in few episodes and the rest of the film is unemotionally funny, which is definitely not expected when it has the name Neeraj Pandey associated with it. All in all, Rustom is below average.